I've previously written about my favorite running socks, shorts, and sports bras, but I haven't talked much about running accessories. There are a lot, and I mostly stick to the minimum, except for my Garmin watch, which is expensive but SO WORTH IT. I cannot stress enough how much I love my Garmin watch. This is the best headband ever, and if you don't have one you are missing out on pure genius. You can trust me on this. 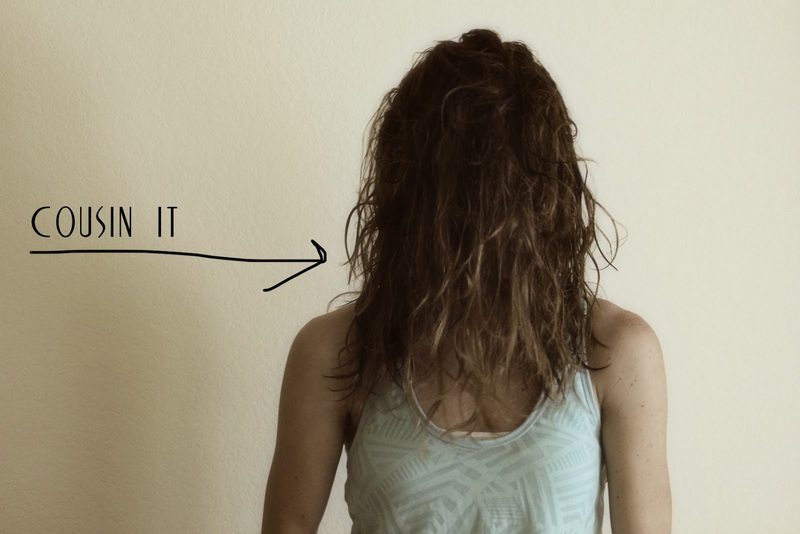 I have a lot of hair. I bought one on a whim at a race expo in February, and now I won't wear anything else. They're $8 each, so a little on the steep side pricewise, but seriously you need one of these. 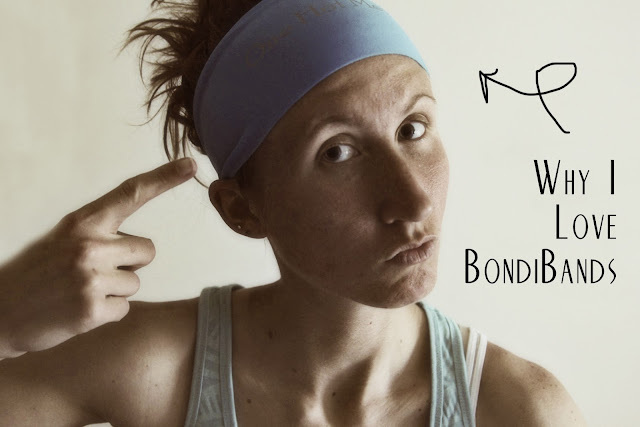 I bought my first Bondiband the day before I ran the Cowtown half marathon in Texas. I liked it so much I wore it the very next day, even though you're not supposed to do anything new for race day. THEN, I bought another one (a red one) at the OKC race expo, and I wore it during my marathon. What I love so much about my Bondiband is that it actually stays on my head without cutting off circulation to my brain. Seriously, I have some headbands that leave an indentation around my entire head and give me a headache. No thanks. Also, the Bondiband works as a sweat guard, so I don't get as much sweat dripping into my face. Of course, I still get sweat dripping into my face because I sweat a lot, but I don't get as much. They're $8 each, like I said, but usually you can get an expo deal like 3 for $20 or 4 for $25 or whathaveyou. And anyway, they are worth the $8. See how excited my eyebrows are? I don't know if you can see the top of mine, but it says "One Hot Mess." I debated for a while between that one or "I Run For Cupcakes." You can find Bondibands in so many different colors with lots of different phrases and words on them, so they're basically customizable to you! It was love at first wear. Or something less cheesy. *These are machine washable. However, I recommend air drying them for best non-slip performance. I was not compensated in any way for this review. Bondibands has no idea who I am. I just love them and wanted to share. My little Oakie! I've missed you. I'm glad you are in love with this headband, but I've already filled my headband shaped hole in my heart with my buff. It's my favorite thing in the whole world. Ooohh....Hmm. I usually tend to go headbandless on runs...however, if this is as good as you say it is..I may need to give it a try! Two things... First, headbands NEVER stay on my head so I feel as if you just told me you had a unicorn spotting. These things just don't happen. haha But Then again, I'd probably pay $8 if you promised me a unicorn sincerely enough, so maybe I'll give it a try. 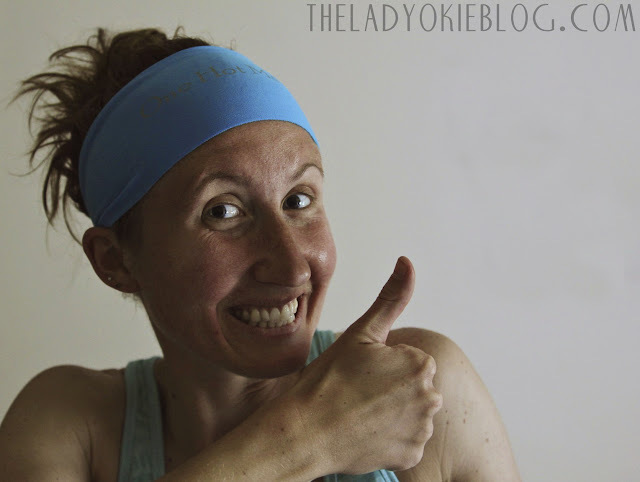 i wear headbands all the time when I run but none are awesome! I need to get one of these! this is amazing. I need to get one. I always use the goody brand and they just don't cut it! Very nice! I might have to get at least one, I'm never happy with the crap I try to hold my hair back with lol! I can't wear those thin little head band thingies because I have no "head-back". Like, no groove that it hooks to on the back of neck to keep it from sliding up. It's really annoying. Anyway, with that said - would you think this would work for us head-backless people? I have a couple of races this summer and since it's Texas, no doubt the weather will already be at 85 by 8am and need something to keep the sweat at bay. I have a visor but eh, bands are so much cuter. Also, I really do run for cupcakes. They are amazeballs. Headbands ALWAYS slide off of me...I think I must have a small head or something. This one sounds amazing. Thanks for sharing! These are my favorite too! All other headbands go flying off the back of my head. Plus I love the fun sayings you can get on them!